Supermarkets have stepped up to the sustainable packaging challenge. Small, but significant steps are being made to switch from plastic to paper-based solutions. 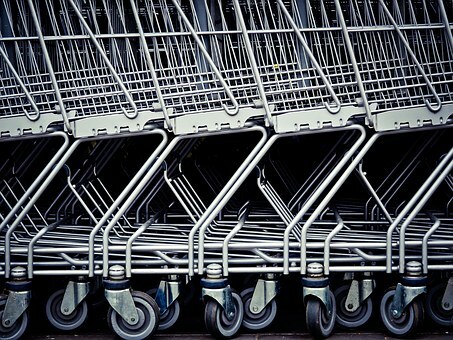 There’s no doubt that growing awareness is changing shopping habits. Consumers are looking to retailers to offer alternatives to plastic packaging and many are willing to embrace sustainable alternatives. As larger retailers, supermarkets have the power to influence positive change. The media focuses on excess packaging, but changes are occurring. These actions aren’t going to solve the problem, but they are a move in the right direction. Morrison’s switch to paper bags is expected to prevent 150million plastic bags from heading to landfill. All the major supermarkets have also focused on measures to reduce the volume of packaging being used. From 2007 to 2012, M&S reduced packaging by 25%, Asda has made 27% cuts to packaging use and since 2005 Sainsbury’s has reduced its own brand packaging by 33%. Morrisons is now offering financial incentives to shoppers who bring refillable Tupperware pots from home to the deli. When reducing packaging, it is important that protection and safety aren’t compromised, especially for consumables. This work to cut out any unnecessary elements would have resulted from considerable work on packaging design and research into alternative materials. If your company is keen to reduce the volume of packaging used for your goods, a packaging manufacturer will be able to advise on alternative options. If you are looking to switch from plastic to sustainable cardboard packaging, Aylesbury Box Company can offer viable solutions. In addition to altering their own brand range, supermarkets can take greater responsibility for in-store waste management. No waste to landfill may sound ambitious, but Aldi has been recycling 100% of all plastic and cardboard packaging since 2014, when it committed to sending no waste to landfill. Since 2015 supermarkets and other retailers have also been charging a 5p levy for all single-use carrier bags. This policy has been rolled out across Europe and scientific studies have reported an 85% reduction in plastic carrier bags being found in North Sea marine environments. Internationally, more than 8 million tonnes of plastic are still being dumped into our seas, but change is possible. With collective action to switch to sustainable packaging options and improve waste management, it is possible to make positive changes to our environment. Aylesbury Box Company has helped many organisations to replace plastics with sustainable corrugated cardboard packaging. From cardboard take away food cartons and delivery boxes, to robust cardboard exhibition or PoS display stands, we can help you make changes without compromising on quality. Contact us today on 01296 436888 to discuss your requirements.